Welcome to another 15 Minute Supper Friday everyone! We are so excited to be partnering with Gourmet Garden this week. I’ve been using Gourmet Garden products for over a year now and I l-o-v-e them. I couldn’t wait to put something together to show off their goods while making you all an amazing, quick, and easy dinner dish. Gourmet Garden offers convenient herbs and spices in tubes that make creating #15MinuteSuppers a breeze. No washing or chopping required…just squeeze in some herbs to quickly flavor your suppers! The first thing I was drawn to after opening my goodie pack was the basil. I knew I wanted to make a panzanella salad, and the basil screamed caprese to me. I made a basil vinaigrette and paired it with some fantastic, bread, cheese, tomatoes, and parsley. You could definitely add a handful of spring greens, substitute halved grape tomatoes, or even sun-dried tomatoes. Just have fun with it! 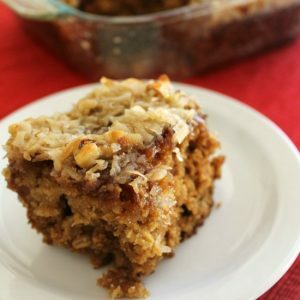 Need more quick 15 minute recipe ideas? 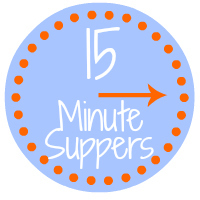 Check out these other great #15MinuteSuppers from some of my friends! Follow 15 Minute Suppers on Facebook | Twitter | Instagram | Pinterest and look for the #15MinuteSuppers hashtag too! Cut bread into 1-inch slices. 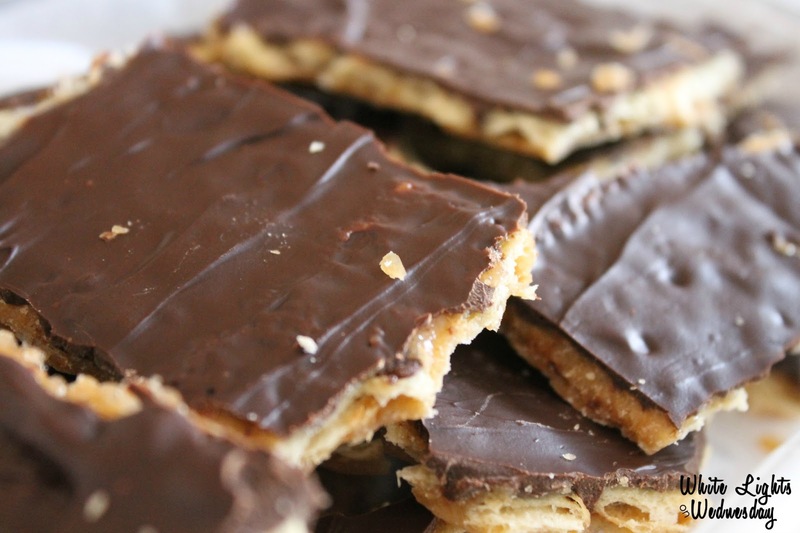 Cut each slice into bite sized pieces; set aside. Halve tomatoes, and use a spoon to clean out the seeds. Rough chop tomatoes into bite sized pieces; set aside. Cut mozzarella into bite sized pieces. Place cheese, bread, and tomatoes in a large bowl. In a medium bowl, whisk together garlic, basil, balsamic, oil, salt, and pepper. Adjust salt and pepper to your taste. Drizzle over salad ingredients. Toss to combine. Sprinkle fresh parsley over salad. Serve with extra basil dressing if desired. AND since you’re all so peachy keen, Gourmet Gardens was generous enough to giveaway a matching set of the full line of their products to one lucky reader. TO ENTER: Leave a comment below telling me what your favorite herb to cook with is. Giveaway closes Sunday, March 9th at Noon. Open to US residents only. Winner will have 24 hours to confirm prize notification email or a new winner will be chosen. Be sure to leave your email address too so I can let you know if you win. Good luck! Disclosure: This is sponsored recipe for Gourmet Garden through 15 Minute Suppers. Recipe & opinions are my own. I love caprese salads! That looks scrumptious!!! I love how simple this looks! And of course, anything with cheese is an awesome choice! I probably use garlic most often, but I am really fond of cilantro, too. I love Gourmet Garden! And this salad looks divine! I love fresh basil in caprese salad- what a great use of the Gourmet Garden basil. Throwing some sun dried tomatoes is a good idea, too! I am seriously drooling! 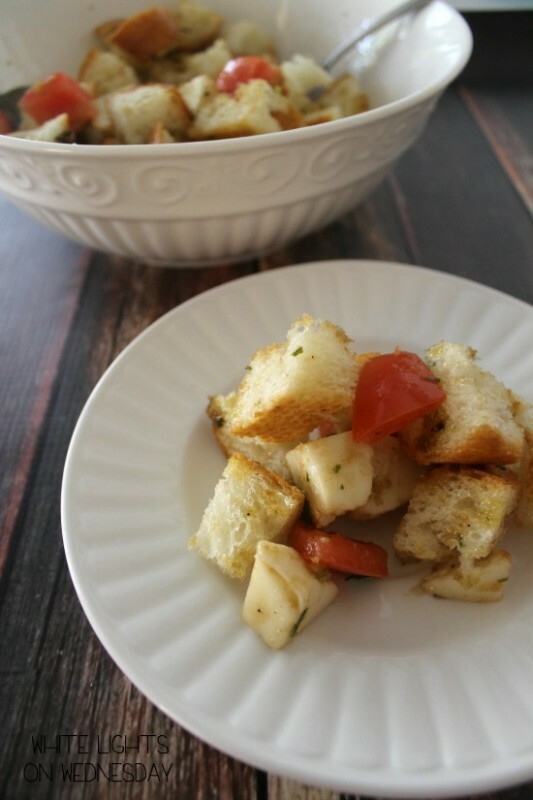 If there is anything I adore more than a caprese salad, it’s a crusty loaf of French bread! I love GARLIC! Use it all the time! 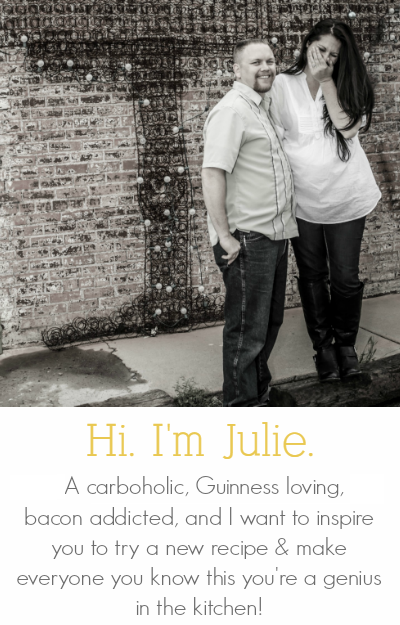 Congratulations Carla! You’ve won. Please check your email. Definitely garlic! 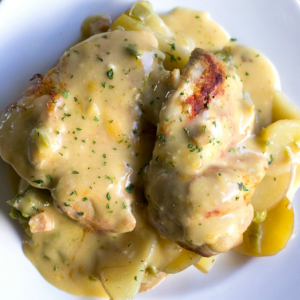 I have used Gourmet Garden before and love the quality and convenience. Enjoyed the link that let you learn more about the company. 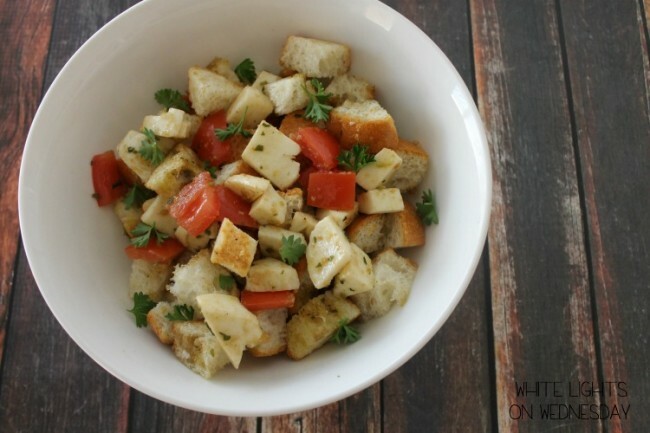 I have always wanted to make a panzanella salad and this looks divine! I love panzanella. 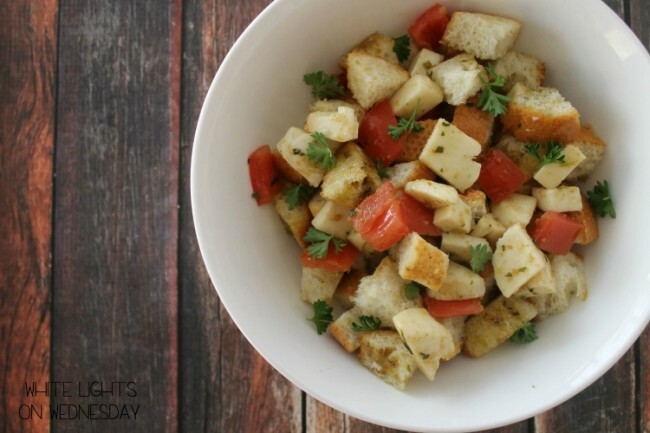 It’s so delicious and filling, but it’s funny how many people haven’t heard of panzanella. I’m going to have to try this variation! Wow this looks amazing! Checking this out from Inspiration Monday Party and loving it! Pinned! Great looking salad. Gourmet Garden spices are tasty. I’d like to have the basil to make pesto.